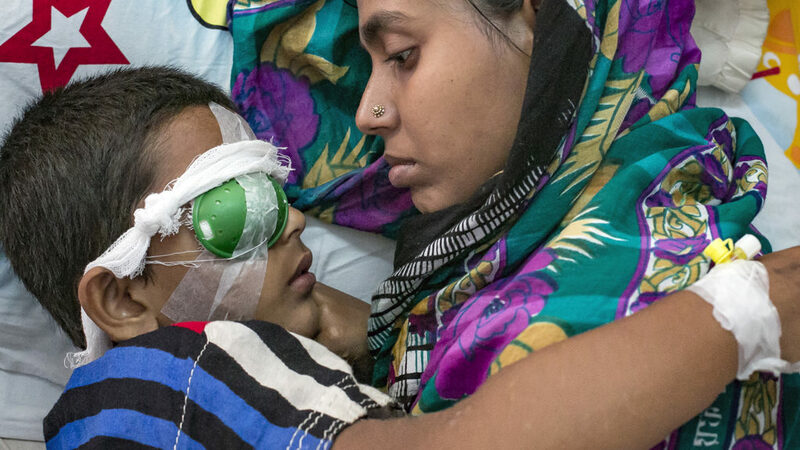 Vital funding from governments and other institutions supports our mission to eliminate avoidable blindness and fight for the rights of people with disabilities. Sightsavers works with partners in more than 30 countries to eliminate avoidable blindness, fight debilitating diseases and support people with disabilities so they can participate equally in society. We work in close partnership with governments and institutions to design sustainable projects based on solid evidence, and our work transforms lives and communities around the globe. This work would not be possible without the generous support from governments and institutions. The US Agency for International Development is one of the most influential bilateral donor agencies, and an important partner for Sightsavers. Sightsavers works in partnership with Conrad N Hilton Foundation to eliminate trachoma in Mali and Tanzania and support cataract surgery for people who need it. The Bill & Melinda Gates Foundation awarded a five-year grant of nearly US$5 million to Sightsavers to run a support centre for Uniting to Combat NTDs. US-based international development group Helen Keller International has a long and distinguished history in preventing blindness and reducing malnutrition. Sightsavers has been a recipient of Standard Chartered’s Seeing is Believing initiative since it launched in 2003 to prevent blindness around the world. Sightsavers’ partnership with Fred Hollows Foundation sees us working together across the world to achieve our vision of eliminating avoidable blindness. The European Union is the largest donor in the world and supports a number of Sightsavers initiatives to combat avoidable blindness and visual impairment. The UK Department for International Development leads the UK government’s effort to fight global poverty, and we’ve benefited from its UK Aid Match fund. In 2017, Sightsavers received a four-year development funding grant from Irish Aid to support our work in West Africa and help us save sight and change lives. The Queen Elizabeth Diamond Jubilee Trust raises funds to transform lives across the Commonwealth, and has joined the push to end avoidable blindness by 2020. The END Fund, a private philanthropic initiative, continues to support Sightsavers through its partners by funding national disease control projects.